At the age of 17 Pete started out in his native Blackpool as a pit drummer with the popular Lancashire comedian Jack Storey. After graduating to the roles of ‘stooge’ and ‘feed’, he acquired various musical instruments and eventually joined the instrumental comedy act Nuts & Bolts. 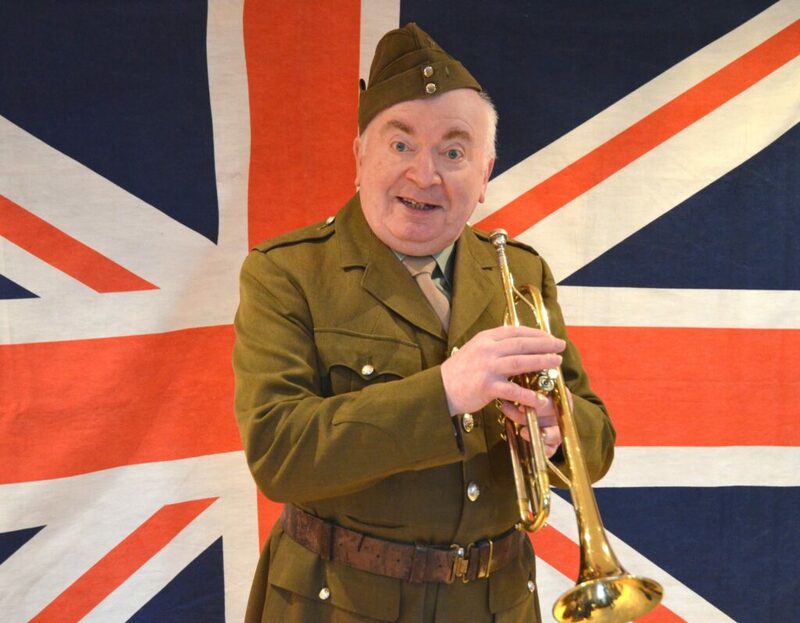 Forming his own act, he plays such diverse instruments as trumpet, trombone, clarinet, banjo, tuba and penny-whistle, appearing as supporting act to such top-line comedy stars as Jimmy Cricket, Danny La Rue, Ken Dodd, Norman Collier, Bernie Clifton and many others. Pantomime seasons have seen him as principal comic and more recently playing Dame. Other activities include a one-man show, giving talks about the days of Variety, and providing the ‘Old Amos’ character for the ‘The Dalesman’ Magazine. Pete has been part of ‘We’ll Meet Again’ from the first tour/summer season when Duggie Chapman created the show and is delighted to have been ‘called up’ yet again.